I have joined but I can't log in. First, you must verify your account by clicking the link in the mail you received when you signed up. and we will send your verification to your other email. because the password is incorrect. Click "Lost password" to get a new one. PayPal details in your Profile. earning money from your downline. Are sites that aren't in English allowed? Yes, as long as they don't violate our terms and pass our security checks. we will restore it for you. Sotuk Traffic will view your website when you visit the sites of other members. 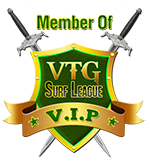 Click "Surf" on the members area menu to start viewing sites from other members. assign to your site. If you don't want to surf for credits, you could also buy them.